Comments: This clump forming species has buff colored flowers in summer that are not showy. 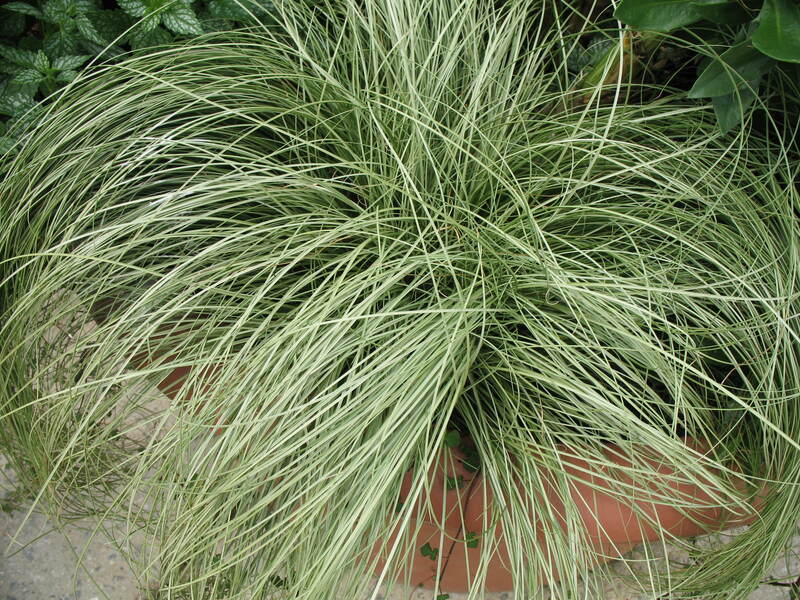 These plants are sedges, not grasses. Makes an excellent container plant and also does well in hanging containers on walls and fences.